Streets lined with picturesque period homes and quiet leafy streets; the East Finchley rentals market leaves nothing to be desired. 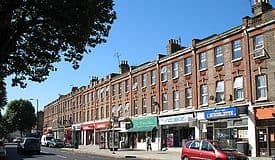 Finchley residents are a mixed bunch, varying from families who are looking to join a suitable community to young singles and professional couples who come both to rent and buy. East Finchley rentals also attract older couples who have sold their family homes and downsized to luxury flats. There is also an active Jewish community in Finchley, with a number of synagogues and cultural centers in the area. East Finchley rentals benefit from a vast amount of new property developments in recent years. East Finchley is where apartments and homes are being built to suit individuals and families of all sizes. Encompassing a huge range of architectural styles, property in East Finchley rentals are remarkably diverse. Multi-million dollar mansions on The Bishop’s Avenue are just around the corner from three conflicting eleven story buildings of flats on Prospect Ring. Large Victorian and Edwardian homes line the streets of Central Finchley, while the 1920s and 1930s properties reign the area in West Finchley. For all of your shopping needs, the High Street and Ballards Lane are jam packed full of shops. Close to East Finchley rentals you will find locally owned boutiques, specialty food stores, and supermarkets. Branches of Waitress, Aldi, and Sainsbury’s are all centrally located at the junction of these roads. From eclectic eateries to green parks and plenty of shopping, the East Finchley rentals market contains everything one could ever desire. Want to know more about East Finchley Rentals? With restaurants serving food from every region and culture, it’s never difficult to find a kosher or halal eatery. A perfect example of the area’s unique and diverse dining scene is La’zeez, located on North Finchley’s bustling High Street. A vegetarian restaurant with an Indo-Oriental concept; this eatery is one of East Finchley’s local favorites. Voted Finchley’s favorite Gastropub; The Old White Lion is an ideal spot to head to for a pint or two after a long day at work. Tempting a discerning crowd from East Finchley, this well-loved joint offers a prime selection of specialty ales and top notch pub grub. Also, it has a beautiful beer garden, live comedy and music, and an exceptional Sunday brunch. The Bald Faced Stag, voted Finchley’s favorite eatery, serves up traditional British cuisine with a modern twist. With their menus crafted monthly, there’s always something new to look forward to when dining at this hot spot. Just minutes walk from the tube station; this restaurant sits right at the heart of the local community. The Bald Faced Stag boasts a light and airy dining room seating up to 100, a spacious bar area, and a beautiful decked garden built around a historic sycamore tree. For some serious retail therapy, the Brent Cross shopping center is North West London’s premier shopping destination. Home to over 2000 leading and designer brands and 120 stylish stores, this building houses the likes of John Lewis, Fenwicks, M&S, and much more. Containing all the shops you could ever need, Brent Cross also includes a food court with concession stands, restaurants, and coffee shops for those looking to quench their thirst and hunger during a shopping trip. While East Finchley is an urban area, it houses a few picturesque green spaces. Victoria Park is a favorite amongst the families of East Finchley. This vast greenery covers 15 acres and offers a range of public facilities. Boasting a Green Flag Award, which recognizes the diversity and value of green space to the community, this park comes in high regards. With entrances on Ballards Lane, Long Lane, Etchingham Park Road and Park View Road, this grassland is home to ornamental gardens, and six public tennis courts. Also, its hosts the Finchley Victoria Bowling Club, playing fields, and a cafe that is open seven days a week. Located on the northernmost edge of London, East Finchley grants access to several prestige golf clubs. Deemed to be one of the trickiest courses in London, the local Finchley Golf Club is an ideal place for the above average golfer to come swing his or her club for those looking for a real challenge. Also located nearby, are the Mill Hill Golf Club and the Metro Golf Center. Finchley is a prime location for those who commute by car, as several major roads pass through the area, linking to the M1 and North Circular Road. For those who don’t drive, there is no shortage of transportation options, as the area is served by the Northern Line and is the center of many bus routes. Finchley has four Underground stations, all on the High Barnet branch of the Northern Line. East Finchley is in Zone 3. Finchley Central, West Finchley, and Woodside Park are in Zone 4.